Creative Technology’s new Super X-Fi (SXFi) technology is “impressive” and shows the audio-equipment maker has learned from past mistakes, CIMB said in a note dated Thursday. “We were impressed by SXFi; we found ourselves uncounsiously removing our headphones as we though that the audio came from the external environment,” CIMB said. It noted that the SXFi was a technology, rather than a headphone, dongle or software, using algorithms to read relate a listening experience. CIMB noted that CEO Sim Wong Hoo is convinced the company has found “the Holy Grail” of headphone audio. The technology will be free for customers to download as an app by mid-year, while Creative will offer a wide-range of products with SXFi built in, including a US$150 dongle, CIMB said. ”There is a gauntlet of possibilities for Creative to monetise its latest technology, some of which are monetisation of its user base, selling products and M&A,” CIMB said. That’s a reflection of “painful” lessons from the company’s previous products, CIMB said. It pointed to Creative’s Sound Blaster sound care product, released in 1989, which became the de factor sound card for PCs. CIMB noted that at its peak, Creative had around 60 percent of the global market share for PC sound cards. CIMB said to value Creative shares, it was looking at price-to-sales and price-to-book-value ratios as the company has had a poor earnings track record in recent years. The stock is trading at 2.9 times trailing price-to-sales, compared with a long-term average of 0.8 times, and at 2.7 times currency price-to-book-value, compared with a long-term average of 0.9 times, CIMB said. That compared with the CGS-CIMB small-mid cap technology coverage universe trading at a simple average of 2.5 times 2018 price-to-book-value. But the brokerage also noted that Hong Kong-listed Razer, which offers premium gaming peripherals, trades at 10.3 times annualised 2017 price-to-sales and 2.1 times current price-to-book-value. CIMB doesn’t rate the stock, or set a price target. 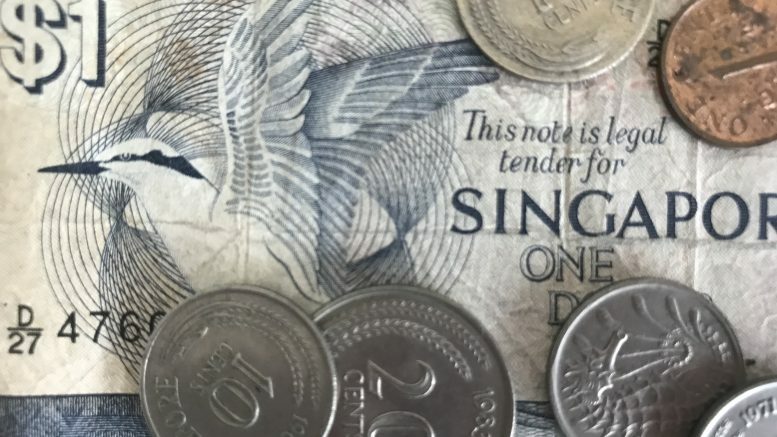 The stock shot up 17.15 percent to S$4.85 by 12:40 P.M. SGT on Friday.